Sed malesuada dolor eget velit euismod pretium. Etiam porttitor finibus pretium. Sed malesuada dolor eget velit euismod pretium. Etiam porttitor finibus pretium. At RUTE Immigration we offer professional immigration and visa solutions for individuals, who wish to visit, study or immigrate to Canada. We help Canadian employers and foreign workers to operatively facilitate the recruitment and immigration process. 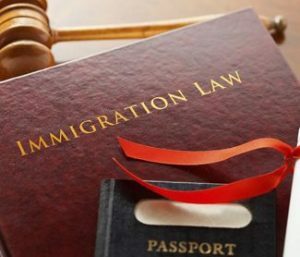 With our expertise and in-depth knowledge of the Canadian immigration laws we develop immigration strategy that is tailored based on each individual’s specific needs and circumstances; and provide guidance in every step of the way to achieve our clients’ immigration goals. Canadian immigration application process can be very confusing and stressful. Our experience in dealing with immigration applications and ability to manage deadlines help our clients to avoid possible refusals. We are committed to serve with honesty, integrity and strictly follow our professional ethical standards. One of the key factors to our success in meeting our client’s expectation is a clear communication of the matter with them. We strive to be transparent and explain the strategy, processing timelines and all other important legal issues prior to start working on the case. We promise NOT to proceed with an application unless we believe that there is a genuine and realistic chance of succeeding. We respond to each enquiry in a timely manner but we only take certain amount of cases, thus enables us to provide high quality client service and maximize your chances to success! Open, honest communication is the best foundation for any relationship. We always act with integrity in our relationships. It is important to be loyal, friendly and compassionate. We provide true value and find success and happiness by being consistent and focusing on our clients interest first. We gain a sense of self-satisfaction by doing good for people and seeing the results of our hard work. We always passionately seek new innovative ways of providing solutions to our clients’ needs. We embrace our responsibilities, enjoy the process of solving problems, and provide effective solutions and added value to customers. We follow through on our promises and we consistently follow-up to ensure that everything is completed in accordance with the commitment we made. 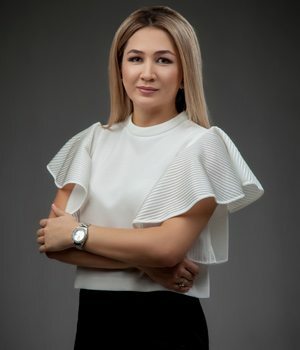 Nilufar Tursunova is a founder of RUTE Immigration and a Licensed Immigration Consultant regulated by the Immigration Consultants Regulatory Council of Canada (ICCRC). Nilufar is a Commissioner for taking Oaths/Affidavits in Ontario, Canada. She is highly regarded by her colleagues and clients for her professionalism and passion to help people. Nilufar successfully represents multinational clients before the Immigration and Refugee Board of Canada and Citizenship and Immigration of Canada.She follows high ethical standards that guarantee transparency and long-term relationship with our clients. Nilufar studied Canadian Citizenship and Immigration law in Toronto. She graduated Immigration Consultant program with Honours and gained valuable experience at leading Canadian immigration law firms such as Fragomen and Sobirovs LLP. Nilufar has a Bachelor’s Degree in International Economic Relations and extensive work experience in organizations dedicated to protect public interests. She is fluent in English, Turkish, Russian, Uzbek; and conversant in French and Spanish languages. Nilufar actively volunteers at non-profit organizations and supports initiatives to protect marginalized and criminalized women in Canada. Just want to say thank you. You went above and beyond on many occasions to get us through the Immigration process of sponsoring my spouse who lives in Thailand. You consistently deliver high quality results on time and are always available to help when require. You are an amazing Immigration consultant and very friendly. Whenever I have a question, concerns or just need clarification I can count on you. It is always a pleasure working with you and I fully recommend RUTE IMMIGRATION Service.